The Aqsa Foundation for Endowment and Heritage said that the Israeli Occupation Authorities (IOA) approved on Sunday the establishment of an Israeli synagogue in the Old City of occupied Jerusalem. The foundation said that this Judaization project is only 200 meters away from al-Aqsa Mosque. It comprises four floors in addition to an underground floor. AFEH said that approximately 100 synagogues and Jewish schools were established in the Old City of Jerusalem. The foundation pointed out that this project came as part of Israeli plans to Judaize the whole Old City during the next 20 years, stressing that Jerusalemites' steadfastness would foil such schemes. The statement added that the Israeli authorities took advantage of these religious buildings in order to cover up its Judaization and settlement schemes. 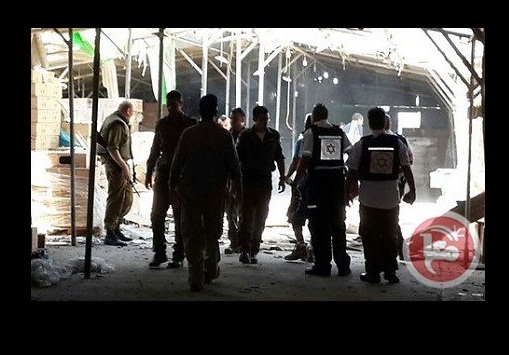 The Aqsa Foundation said that the establishment of Jewish synagogues aims to intensify Israeli break-ins into al-Aqsa Mosque especially that they provide crowds of extremists who call for the destruction of the holy mosque and the displacement of Palestinians. It charged that the Israeli authorities have deliberately surrounded al-Aqsa Mosque with these synagogues as a prelude to take control over it. The Aqsa Foundation has warned of the seriousness of this Judaization scheme that aims to falsify history and give alleged right to Jews in the area. The Israeli government issued confiscation orders to Palestinian land owners in Nablus on Monday to seize over 300 dunams (74 acres) of land to expand nearby illegal settlements, an official said. Ghassan Daghlas, a Palestinian official who monitors settlement activity in the northern West Bank, told Ma'an that the Israeli government issued the seizure orders to landowners in the Ras Mues and al-Khafafish areas near the village of Jalud. The land is located between the illegal Shilo settlement and outpost of Shvut Rachel and will be used to build a Jewish cemetery, school and farm, Daghlas said. The land is owned by Tawfiq Abdullah al-Hajj Muhammad and his brother Ahmad. Israel has begun work on 10,509 housing units in illegal settlements while simultaneously demolishing 146 Palestinian homes since peace talks began in July. Since 1967, Israel has established over 150 settlements and some 100 outposts in the occupied West Bank, with a settler population of 520,000, according to OCHA. Over 43 percent of land in the occupied West Bank is allocated to settlement local and regional councils. The Aqsa foundation for endowment and heritage said that the Israeli occupation authority (IOA) plans to build about 100 synagogues and religious schools in the Old City of Jerusalem. In a press release on Saturday, the Aqsa foundation stated these synagogues and schools are part of a big plan aimed at Judaizing the whole Old City of Jerusalem during the coming 20 years. It warned that Israel wants to encircle the Aqsa Mosque with these synagogues and schools, which will serve as hotbeds for Jewish temple groups that target the Mosque. The foundation noted that the IOA built in recent years two big synagogues in place of Islamic holy sites near the Aqsa Mosque and plans to build a third huge synagogue soon in the Old City of Jerusalem. European Union diplomats stationed in Jerusalem and Ramallah cautioned about the changing status quo in the Al-Aqsa Mosque and the growing tension triggered by right-wing Jewish groups. “There remains a significant risk that incidents at this highly sensitive site, or perceived threats to the status quo, may spark extreme reactions locally as well as across the Arab and Muslim world, and have the potential to derail the peace negotiations,” according to the report obtained by Israeli daily Haaretz. It warns against allocating separate times for each Muslims and Jews to access the mosque's courtyards, similar to what happened at the 'al-Haram al-Ibrahmi' -Israeli dubbed as Cave of the Patriarchs- in Hebron, which could hinder the 'peace process'. The report says there has been an "unprecedented surge in settlements activity” since the Israeli-Palestinian negotiations resumed in July 2013. It considered that as a part of Israel’s strategy to use the settlement construction and infrastructures “to expand Jerusalem deeply into the West Bank” so that it includes the settlement blocs of Maale Adumim, Gush Etzion and Givat Ze’ev. While making out 39 percent Jerusalem’s 800,000 residents, Palestinians are only allocated 10 percent of the municipal budget, the report says. 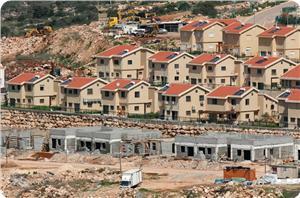 200,000 of the residents are Israelis living in East Jerusalem settlements, the report confirms. “Around 53 percent of the Israeli-defined municipal area of East Jerusalem is unavailable for development and 35 percent has been designated for settlement use,” leaving less than 13 percent for the housing needs of Palestinians. In 2013 'Israel' demolished 98 houses in occupied East Jerusalem; the same number of houses that were demolished in the past three years which led to the displacement of 298 people, including 153 children, it added. The report recommends empowering Palestinians and saving the status of Jerusalem as the capital of two states; to increase supervision over the Haram Al-Sharif and Silwan and respond to the uprooting of Bedouin areas E and to demand 'Israel' to allow European citizens and diplomats to move freely between Israel and the West Bank. It also recommends imposing restrictions on the entry of settlers involved in violence in to Europe. In a letter sent to EU Foreign Policy Chief, Catherine Ashton, 29 members of the European Parliament have called upon the European External Action Service (EEAS) to take action to discourage European businesses from trading with illegal Israeli settlements. "There are several examples of the many ways in which European businesses contribute to the existence and expansion of the settlements,” said the letter. "Through their activities, they make direct and on-going contributions to Israeli violations of international law and to human rights abuses associated with the settlements." WAFA reports that the letter shared insight on the UN Guiding Principles on Business and Human Rights, which were endorsed by the EU, which "make it clear that governments have an obligation to ensure that businesses domiciled in their territory do not contribute to human rights abuses in their overseas operations." "In cases where businesses are operating in conflict areas, the Guiding Principles urge governments to provide “adequate assistance to business enterprises to assess and address the heightened risks of abuses." The 29 members concluded their letter calling upon the European firms to recall their economic relations with the Israeli settlements. "We urge the EEAS to publish guidance discouraging European firms from maintaining economic relations with the settlements." 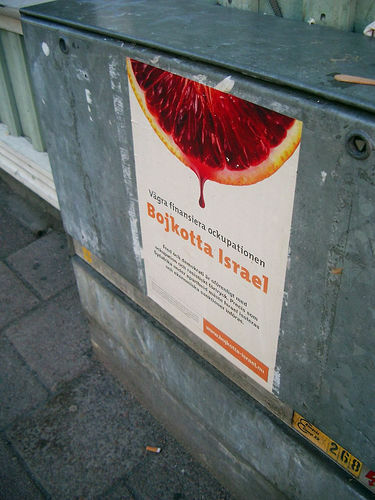 To be noted, private European businesses play a major role in funding, facilitating and supporting Israeli violations of international law and illegal Israeli settlements by providing products and services that facilitate the existence of illegal settlements, importing and selling goods produced by companies operating in illegal Israeli settlements and through investing in settlement companies and projects. "The EU should use its presence in Israel and the occupied Palestinian territories to educate European businesses about the problems and risks associated with such relations and to encourage Member States to take similar action." 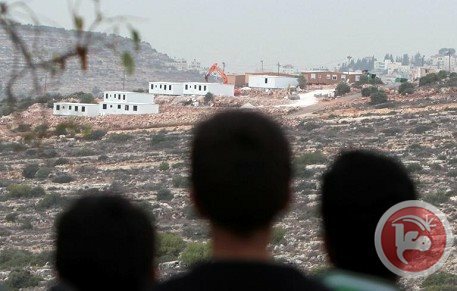 Israeli bulldozers on Thursday continued to build a section of the separation wall around the disputed Cliff Hotel in Abu Dis, lawyer Bassam Bahar said. Bahar, who also heads a local committee to defend Abu Dis lands, told Ma'an that the Israeli Supreme Court decided a few days ago that the wall should run around the Cliff Hotel for security reasons. The court order also included confiscation of the hotel's rooftop citing security reasons. 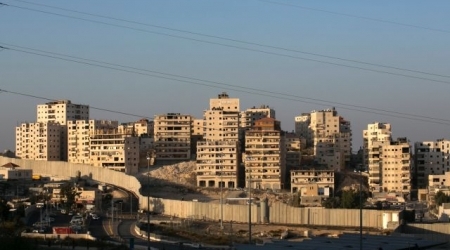 The Israeli authorities claim that an absence of the separation wall in that area "jeopardizes the security of the state of Israel," Bahar highlighted. The lawyer added that the "Israeli occupation authorities have been trying to confiscate the Cliff Hotel and the land surrounding it under various pretexts and by different means." A year ago, he added, there was a decision to confiscate 2,900 square meters of land "for public purposes." Furthermore, by the beginning of 2014, there was a decision to confiscate 1,400 square meters more for "public purposes and security reasons." The case was sparked in 1996 when Israeli forces took control of the hotel citing security reasons. They withdrew in 2003 and since then they have been trying to regain control of the building. The Israeli forces occupied the hotel and have been using it ever since as a watchtower. In 2009, the Palestinian family who owns the hotel appealed to the Supreme Court to restore their property. In September 2013, the Israeli attorney general decided that the absentee property law was not applicable to the hotel. He decided that the Supreme Court should have the final say about that property. 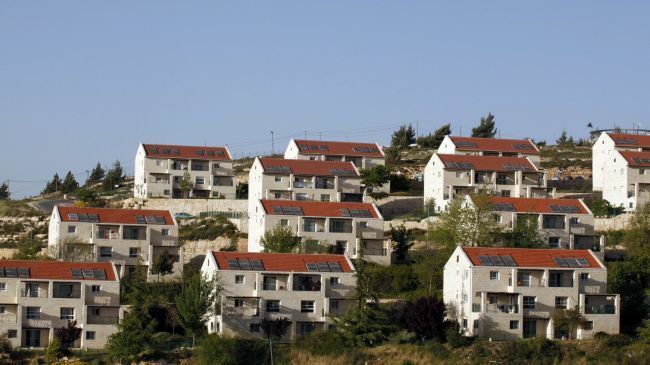 A Hebrew press report revealed that the Israeli occupation authorities were planning the construction of 208 new housing units in Efrat settlement near Gush Etzion settlement complex. Ha’retz newspaper said on its electronic website on Tuesday evening that bids for the construction of those houses were invited in January. It said that marketing of those houses was reaching its climax, noting that the settlement is located between Bethlehem and Al-Khalil. The Japanese government issued a statement strongly denouncing recent Israeli plans to build hundreds of units, for Jewish settlers, in occupied East Jerusalem and the occupied West Bank. Japan’s Foreign Ministry said that Israel’s settlement activities violate International Law, and obstruct international efforts to achieve a comprehensive peace agreement, based on the two-state solution, especially US efforts to maintain direct peace talks between Ramallah and Tel Aviv. 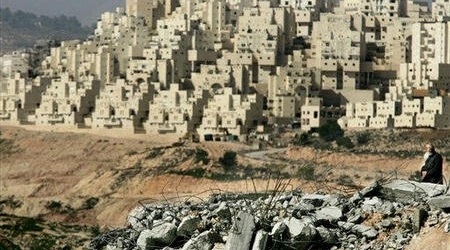 “Settlements violate International Law,” the Foreign Ministry stated. “Japan is renewing its call to Tel Aviv to stop its settlement construction and expansion activities”. It also stated that Israel must stop its unilateral moves, especially in occupied Jerusalem, and to refrain from any actions which could jeopardize direct peace talks with the Palestinians. Japan further called on Ramallah and Tel Aviv to act on “increasing mutual trust”, and to “continue the efforts to achieve peace in the region”, the Maan News Agency has reported. It is worth mentioning that Tel Aviv promoted building plans for 2,372 homes for Jewish settlers, in eight illegal settlements in the occupied West Bank, and in the past month. Israel’s settlements in the occupied West Bank and occupied Jerusalem also violate the Fourth Geneva Convention, to which Israel is a signatory. Israeli Labor Party presented a proposal to the Israeli Prime Minister Benyamin Netanyahu provided the replacement of the fourth patch of Palestinian prisoners release with settlement freeze. Both MKs Ahilalk Bar and Omaeir Bar introduced the suggestion on on behalf of the party, demanding the settlement freeze during negotiations. The Israeli government took the wrong option previously because freezing settlement is less dangerous as the release of prisoners carry many security risks, according to the proposal. Journalist Ofer Shelah, member of Yesh Atid Party, suggested such a proposal recently in a meeting with a group of students. Some Likude ministers threatened to resign if the Israeli government released the fourth patch of prisoners, in an attempt to dissuade Netanyahu from the idea. (Reuters) - The building of Israeli settlements and attacks by settlers on Palestinians are a major source of much abuse of rights in the occupied territories, the United Nations' top human rights official said on Monday. 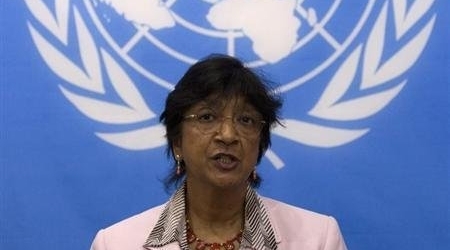 Human Rights High Commissioner Navi Pillay also expressed concern at a recent surge in violence in and around the Gaza Strip by both local groups and Israeli forces. "Israeli settlement-related activities and settler violence are at the core of many of the violations of human rights in the West Bank, including East Jerusalem," she told the U.N.'s 47-nation Human Rights Council in Geneva. The settlements not only had a significant impact on the right to Palestinian self-determination, but activities around them "also violate the entire spectrum of Palestinians' social, cultural, civil and political rights," she said. Most countries deem Israel's settlements in the West Bank illegal and an obstacle to peacemaking. Palestinians decry them as a barrier to achieving a viable state, while Israel considers some of its settlements as a security buffer. Settlers view the West Bank as a biblical birthright. seized control of the territory two years later, fuelling tension which often leads to cross-border violence. The Gaza violence, Pillay declared, was reflected in increased rocket fire by Palestinian armed groups directed at Israel and Israeli airstrikes on the area. She said "the targeting of civilians and the indiscriminate firing of rockets towards Israel is a violation of international law. The response through air strikes by Israel is excessive and often causes destruction to personal and public property." Pillay said an Israeli blockade of Gaza must be lifted, "with due regard to Israeli security concerns." Egypt also blockades Gaza from its side of the border. Referring to the West Bank administered by the Palestinian Authority, she said U.N. monitors there had documented "a dramatic increase in fatalities and injuries in incidents of use of force by Israeli security forces" in 2013. There was an urgent need to ensure accountability for such incidents through independent investigations into allegations of unlawful killings or torture and ill-treatment and to prosecute those responsible, Pillay said. Israel's foreign ministry has been on strike since Sunday. Other officials had no immediate response to Pillay's remarks. Israeli institutes have begun implementing "the biggest Judaization" project in Jerusalem, the Waqf organization that overseas the Al-Aqsa Mosque said in a statement Monday. The project, called the "National Antiquities Complex," will be constructed on a 20 dunams (5 acres) of land in West Jerusalem near Hebrew University's Givat Ram campus, the statement said. 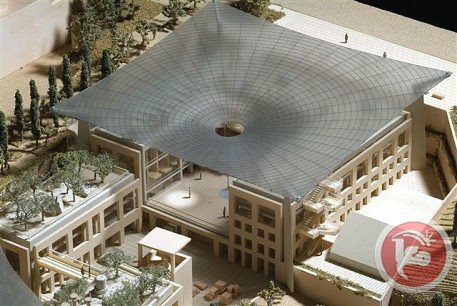 The complex will contain an "antiquities library," a "national scientific antiquities archive," a department for "the home of the Israeli antiquities authority," and other offices for archiving and storing antiquities. It will hold around 2 million artifacts, including the "alleged" Dead Sea scrolls, the press release said. The "antiquities library" will hold 150,000 books, including 500 rare books and scrolls, and over 1,000 journals. The archives will include documents from the British Mandate in Palestine such as maps and publications related to British excavations in the 1900s. Project coordinators raised approximately $100 million for the National Antiquities Complex, collecting funds from 26 Zionist, mostly American, organizations, the Waqf statement said. Additionally, some of the funding for the project came from the Israeli government. Construction on the complex is expected to be completed in 2016. 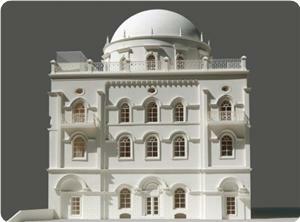 The Waqf organization condemned the project, saying it aimed "to show the Talmudic account on the land of Palestine." Britain slammed Israel's recent plan to build more settlement units in the West Bank, the British Foreign and Commonwealth Office has announced. 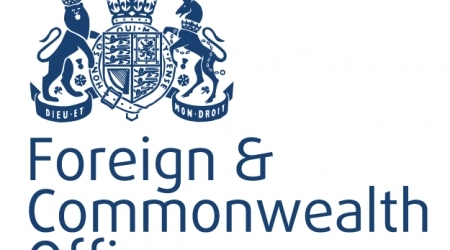 "I condemn the decisions taken by the Israeli authorities to advance a number of settlement plans in the occupied West Bank," said Hugh Robertson, British Minister of State for the Foreign and Commonwealth Office. Since Wednesday, Israel has reportedly approved to build more than 1, 220 new housing units in its settlements in the West Bank, with local media reports saying the total figure could amount to 2,372 units. "The UK's position on settlements is longstanding: they are illegal under international law, undermine trust and threaten the viability of the two-state solution," Robertson continued, emphasizing need for "just and lasting" settlement to the conflict. The settlement issue tops the U.S.-brokered talks between Israel and the Palestinians, which restarted last summer after a three-year halt of Israel's construction in the West Bank. The settlements are deemed by international law as illegal and are seen by the international community as an obstacle to peace. (Reuters) - Israel has promoted building plans for 2,372 homes in eight Israeli settlements in the occupied West Bank in the past month, on land the Palestinians want for a future state, an anti-settlement watchdog has said. The plans, the largest of which is for 839 homes in the Ariel settlement bloc, are at different stages of approval but none has yet been given the final green light needed from the Defence Ministry, Israeli Peace Now said. Settlement expansion in the West Bank and East Jerusalem, which with the Gaza Strip make up the territory of the Palestinians' planned independent state, is a major stumbling block in the already faltering peace talks between the sides. An Israeli defense official said the plans were at the stage of "preliminary and basic discussions". A spokesman for Palestinian President Mahmoud Abbas, Nabil Abu Rdainah, said Israel was trying to derail the peace talks: "The Israelis are trying to push the talks to a dead end with this systematic escalation of continuing settlement activity." 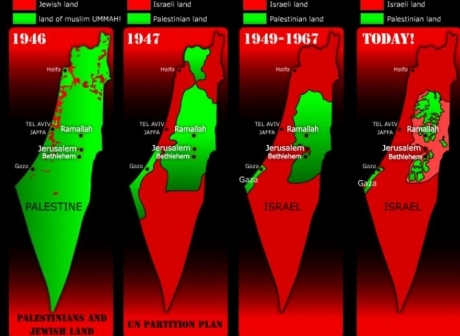 Palestinians say settlements, built on land Israel seized in the 1967 Middle East war and deemed illegal by the International Court of Justice, bar them from establishing a viable and contiguous state. Israel Peace Now said in a statement on Thursday the new building would "expand dramatically the settlements and ... pressure the Palestinians to resign from the current talks." It called on the government to stop "this wild behaviour." Israeli Prime Minister Benjamin Netanyahu said this month his government would be prepared to give up "some settlements" in the West Bank to help secure a peace agreement but that he would limit as much as he could the number of enclaves removed. An Israeli government report, however, showed this month that construction starts on new settler homes had more than doubled last year. More than 500,000 Israelis have settled in the West Bank and East Jerusalem, areas that are home to about 2.8 million Palestinians. U.S.-brokered peace talks resumed in July, but the negotiations appear to be making no progress. Washington is struggling to formulate agreed principles that would extend the talks beyond an original April target date for a final deal.